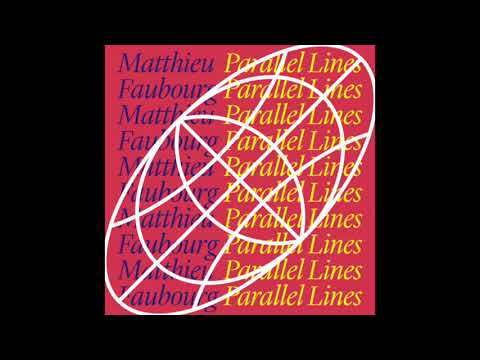 Matthieu Faubourg is an upcoming French producer who is quickly becoming one of our favorite artists to follow ever since he came out with his phenomenal tune “Please Stay” in 2016. If I had to point out one of the qualities that make us excited about his growth is the ease in which Matthieu is able to incorporate a variety of genres within his signature style. From deep-house to jazz and garage, Matthieu’s sound falls on a wide spectrum of dance music that proves to us that he’s an artist who won’t be going anywhere anytime soon. Neovinyl Recordings seem to know that and have decided to work with the young maestro again since his remix duties for Black Loops’ classic “Higher.” In their upcoming collaboration, Matthieu is set to release his first EP of this year titled Parallel Lines. The record will feature three new original songs from Mr. Faubourg as well as a remix from the Neovinyl boss man himself, Baldo. Luckily, we are premiering the title track from the release and we couldn’t be more smitten with it. It’s definitely the sort of song that’s meant for the club but has a more relaxed feel – perfect as kindling for a dancefloor fire, or for reducing one to embers. For all you party arsonists out there, Parallel Lines is set to come out on January 25th. Get your matches ready by clicking here!